We are a leading Manufacturer of knapsack sprayer and power sprayer from Chennai, India. 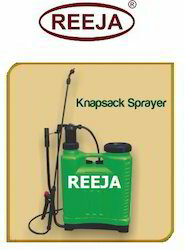 `REEJA’ Brand Knapsack Sprayer is specially develop to meet the needs of farmers and growers. 1.Disinfection, sterilization, pest control, air purification, anti-virus, disease prevention, epidemic prevention for hospital, school, hotel, household, warehouse, factory etc. 2.The spraying disinfection and immunity for poultry farm, veterinary hospital, pet hospital, animal health center, Entry-Exit Inspection and Quarantine Bureau, Customs etc. 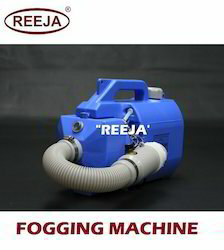 1.Strong penetration, fast spread; With adjustable and uniform droplets, the fogger is applied for both space spray and residual spray. 2.the solution pipe and air pipe are anti corrosion; the fogger head is anti-cracking, shockproof, and constant temperature. The lifespan of the whole machine is long. 3.The scale of solution tank and translucent tank cover is easy for you to mix chemical solution precisely. 4.Patented technology adopted to prevent the solution from flowing back. Looking for Knapsack Hand Sprayer ?